Saturday 25th August 2018. This morning walked along Cottenham Lode from Cottenham to Rampton, between Little North Fen and Great North Fen. 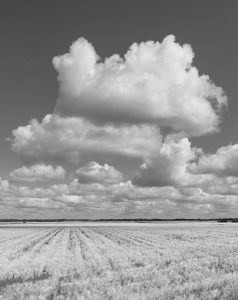 Sunny and breezy; candyfloss cumulous clouds over fields of russet linseed and bleached blond barely-harvestable barley. At Rampton peace and quiet in All Saints church, the patina of the stone, plaster and wood soaked in the joys and sorrows of fifty generations. Outside, restless swallows twittered and a hobby skimmed over the oaks.